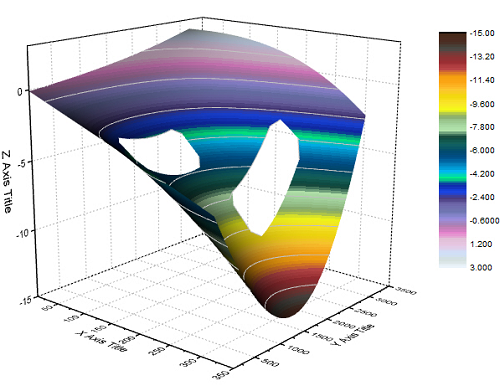 This is 3D surface plot from a matrix with missing values. Missing values are allowed in the matrix which is used to plot a 3D surface graph. Some grid lines in the X and Y direction are skipped.